LotApps Free PDF To JPG Converter is a 100% FREE windows application that quickly converts PDF documents to jpg image formats. 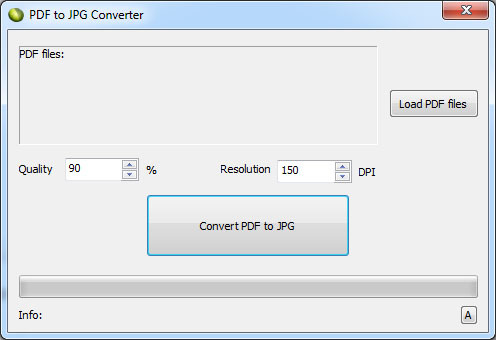 Also, PDF to JPG Converter supports Batch Mode that converts a lot of PDF documents into images at one time. PDF to JPG Converter flawlessly switches multitudinous PDF to JPG image in very short time. PDF to JPG Converter supports Batch Mode that converts a lot of PDF documents into jpg images at one time. Capable to convert password protected PDF files to preferable image type. It does not require Adobe Acrobat or Reader support, and not need to install. Site license, SDK license and any other questions please contact us.